Alaska banked on Calvin Abueva’s career-best scoring prformance to snare the top spot, while the Star Hotshots finally secured back-to-back wins in the 2016 PBA Commissioner’s Cup. The Star Hotshots exploded in the third quarter to overcome a double-digit deficit and dismantle the Phoenix Fuel Masters, 91-75, and notch their first win streak in the OPPO PBA Commissioner’s Cup Saturday at Cuneta Astrodome. Import Ricardo Ratliffe, who suffered from foul trouble in the first half, provided the much-needed lift from Star, scoring 21 points and 17 boards as well as sparking a 17-0 rally in the third frame. Ricardo Ratliffe tests the defense of Kevin Pinkney. 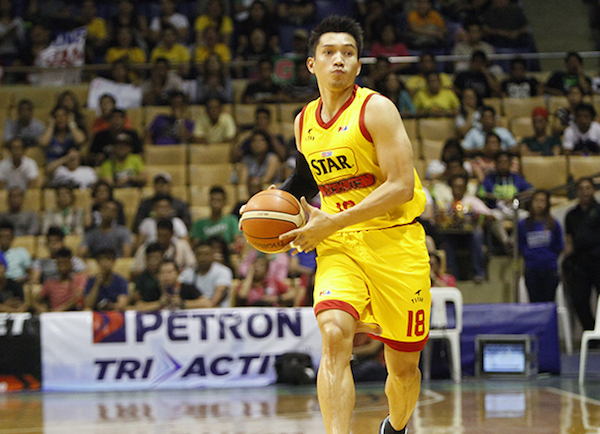 James Yap pushes the basketball against Phoenix. PJ Simon made 11 of his 17 points in the fourth quarter, while James Yap chipped in 13 as the Hotshots improved to 3-4 after posting back-to-back wins. 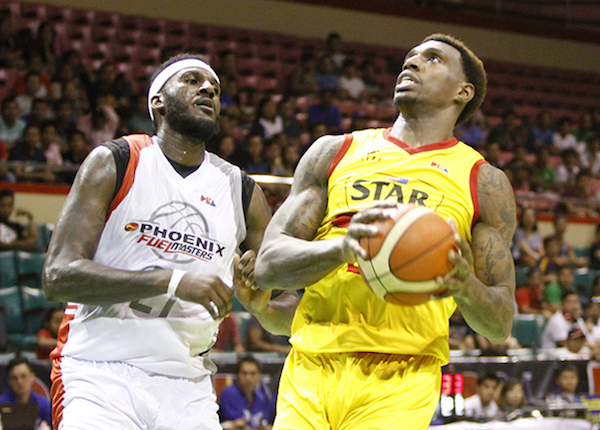 Phoenix, led by import Kevin Pinkney’s 21 points and 15 rebounds, lost their fourth game in six outings. Kevin Pinkney (PHX) - 21pts, 15rebs, 2asts, 3blks. The Alaska Aces had a difficult time beating a decimated GlobalPort Batang Pier, but they woke up in time to notch their fifth straight win, 103-101, in the OPPO PBA Commissioner’s Cup Saturday at Cuneta Astrodome. 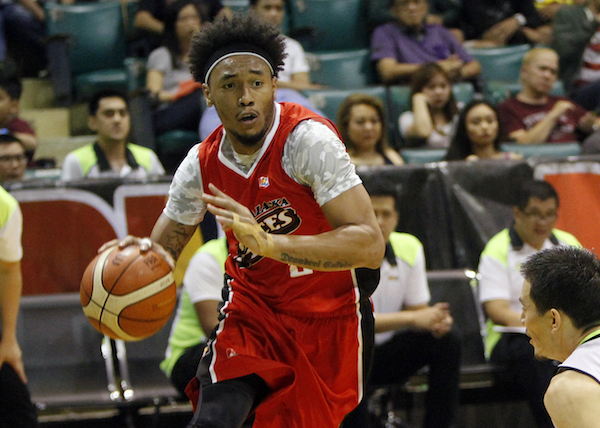 Calvin Abueva went beast mode in this one, scoring 29 points and 14 rebounds and bucking an ankle injury he sustained in the first quarter. The Beast put up a monster of a game for Alaska. Shane Edwards added 21 points and 11 boards for Alaska (5-1), which moved to the top spot thanks to their win streak. 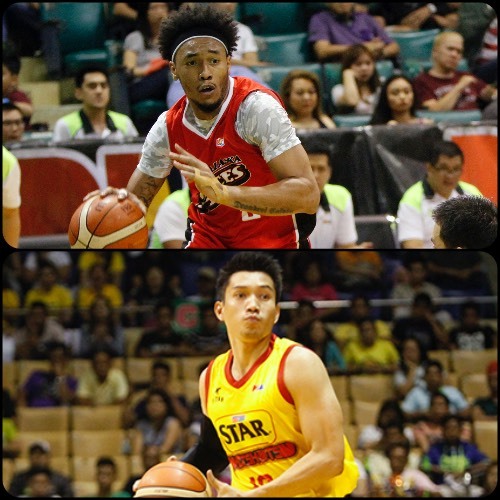 GlobalPort’s star backcourt of Terrence Romeo (calf) and Stanley Pringle (ankle) missed the game due to injuries, but that didn’t prevent them from playing a competitive game. Shawn Taggart, playing in his PBA debut as GlobalPort’s import, filled the scoring void and finished with 36 points and 16 rebounds, but the Batang Pier (2-5) still dropped their fourth straight game. Calvin Abueva (ALA) - 29pts, 14rebs, 4asts, 3stls, 2blks, 4 triples. Shawn Taggart (GLO) - 36pts, 16rebs, 3asts, 2blks, 1 triple, 12/23 FGs.